Nestled in a quiet street named Subli in Lanzona Subdivision in the southern part of Davao City, is a little-known Kusina that serves hearty and delicious comfort food, seafoods mostly, anyone craving for familiar dishes of home, without a doubt would surely take pleasure in. 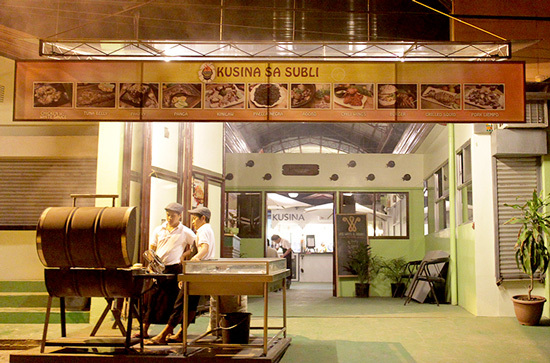 Kusina sa Subli opened in 2014. Jessica Jane Ongkiko, the owner told us that the restaurant came to be to serve as an extended dining place of a family-owned Residencia de Fernando, a boutique hotel located just a stone’s throw away, as the hotel does not have a restaurant of its own. 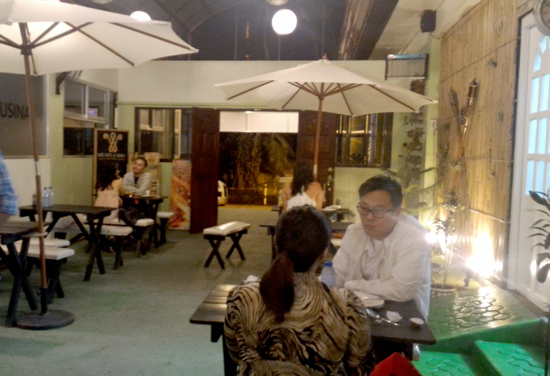 It wasn't so long before Kusina sa Subli became a food hub within the subdivision; patrons who were able to try came in droves eventually owing to the scrumptiousness and consistent flavours of their best sellers. And I'm thanking my media friends for bringing me along to try out their food offerings. So what are we waiting for, let’s dig in! First on the table ... The SouthSide Burger. One of the best tasting burgers I’ve ever had lately. Kusina sa Subli's young Chef, Frine Fuentes briefed us about his food creation - its bun is made from wheat, something health conscious diners would surely love. It has a chunky patty which is prepped out of pure lean meat hence, not a sign of greasiness on the whole stack. Anyone who loves burger shouldn't miss this for the world. 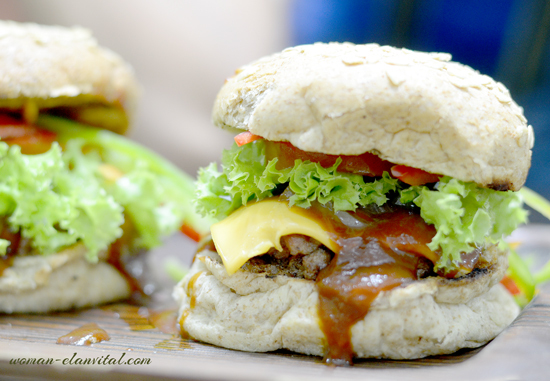 This oh-so-good burger would be all so worth a trip down south. A must-try! 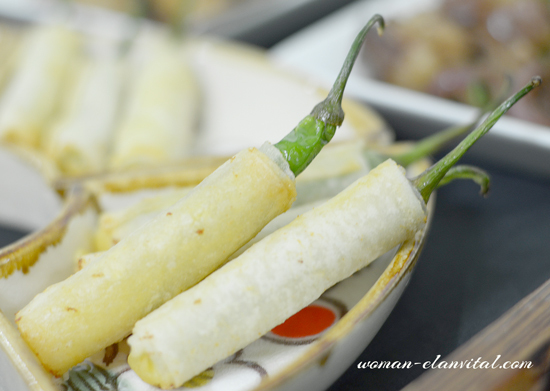 Calamari, Cheese sticks, Crispy tenga and these Jalapeno sticks are few of the delectable choices for appetizer. I hadn’t had Jalapeno sticks in a long time. This reminds me of a Korean friend who used to fry this ala-tempura. Kusina sa Subli’s version is wrapped in rice paper, stuffed with creamy cheese and fried. It’s not as hot as you think it is. So good, actually! Wakes up your senses, grab a platter! 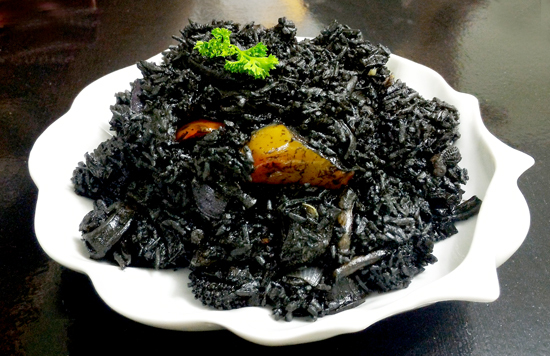 And if you’re craving for something so filling and satisfying right now, Kusina sa Subli’s best seller, Paella Negra is definitely worth a short journey down Subli. It’s really good. This uber delicious seafood-stuffed platter is also very affordable. As of posting its only P200 on the menu and this can serve 2-3 persons. Beat that! Another crowd pleaser is their PakFry (Tuna tail braised in vinegar and fried) I’ve tried quiet a good count of this dish around town and each has its own distinct palate feel. Kusina sa Subli’s version came in with a handful of fried garlic I so love to bits. Extra rice, please! Highly recommended pick! 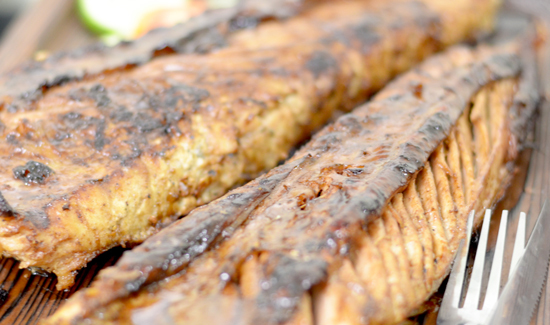 My mama’s old time favourite, Grilled tuna belly. 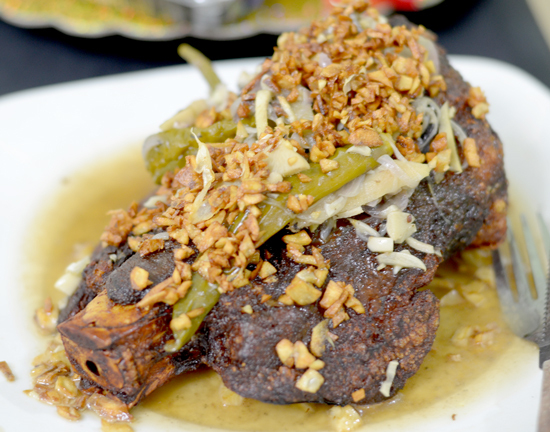 A fresh sea bounty anyone looking for grilled Filipino comfort food would surely enjoy. and lemons. 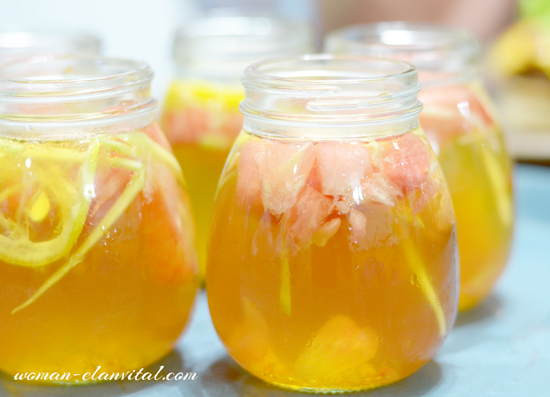 So refreshing, love it! Other than their good food, Kusina sa Subli also has exclusive rooms for private functions. 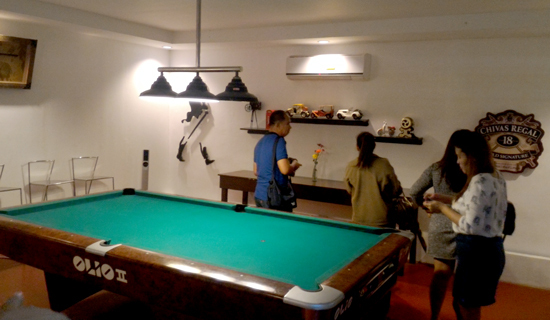 This neat room with a Billard table can be booked for Php2,500 for four hours. The 2k is consumable which you can you use to order food or drinks. 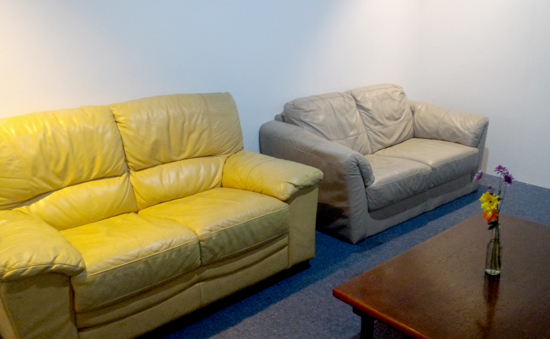 The neat and comfy leather seats at their private KTV room, all complete with videoke sound system. They have three private KTV rooms ranging from Php2,500 to Php1,500/room. If you're looking for exclusive and sound-proof rooms for private parties and meetings, then you're in for a good deal here. If you’re in for a comfort food adventure down south, Kusina sa Subli is a good place to start. Their Southside Burger, Paella Negra and PakFry are worth your time driving down here. Or if you’re up for a ‘My Way’ kind of night, they have perfectly working microphones to belt your heart out. The best part, prices on the menu is overly wallet friendly. Getting here is easy-peasy. Take the Tinikling Road from McArthur Highway (the road right beside the old ABS-CBN station) just drive down straight and turn left to Subli Street. Shortly after Residencia de Fernando Hotel is Kusina sa Subli.